Avengers: Endgame director Joe Russo has stated that fans can expect to hear about a queer superhero movie or character sometime in the near future. The Marvel Cinematic Universe is heading toward an epic conclusion of sorts when the fourth Avengers movie hits theaters later this month. Although the film will wrap up Phase 3 of the MCU, not too much is yet known about what fans can expect during Phase 4. Rather than releasing their upcoming slate of movies as they have done in the past, Marvel Studios has chosen to forgo that step for fear of spoilers. Launching with Iron Man in 2008, the Marvel Cinematic Universe will have spread across 22 movies with the release of Avengers: Endgame. Although the MCU is far from over, it has been previously stated that what follows the events of this next Avengers installment will be different than what came before. Marvel Studios may have yet to unveil a comprehensive list of what’s to come, but we do know that Phase 4 will kick off with Spider-Man: Far From Home in July. Other future movies in the works include a solo outing for Black Widow, a sequel to Black Panther, as well as one to Doctor Strange, and eventually a third Guardians of the Galaxy. The studio is also working on bringing Shang-Chi to theaters, as well as a film adaptation of The Eternals. When speaking to Huffington Post recently, Joe Russo was asked about the possibility of a queer superhero movie. The director’s response was, “Well, I can assure you that you will hear about something very soon!” It was previously reported that Marvel is looking to cast an openly gay actor in The Eternals, though it’s unclear if that is what Russo is alluding to. This may be in regard to that role, but could also be a queer character from the comics. Admittedly, there aren’t too many to choose from, but there are certainly several who could carry a film. Kevin Feige previously confirmed that the MCU was “planting seeds” for Young Avengers. This would be an incredible step, considering the fact that they are the rare superhero team that is not comprised of mostly straight, white males. To be clear, no one is suggesting a need to be rid of the champions that we all know and love. The idea that inclusivity would somehow remove them from the equation is, frankly, ridiculous. This issue is one that dates back to the period in which many of these characters were created. It was a very different time that didn’t necessarily leave Marvel with a very diverse pool of superheroes to draw from. 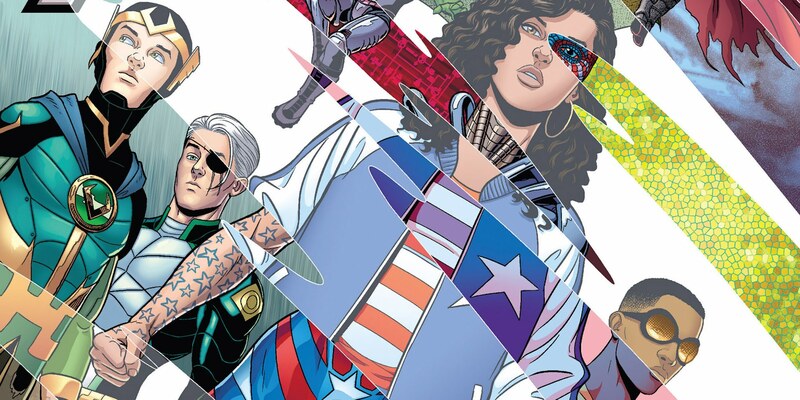 With much of the old guard preparing to hang up their proverbial capes, now would be the perfect time to introduce the Young Avengers - not only to add some different perspectives to the MCU, but also because those comics are some of Marvel’s best. The MCU has made major strides towards diversifying their movies in recent years, finally releasing a film centering on a black hero with Black Panther and most recently, the studio’s first female-led solo movie, Captain Marvel. Both projects have been incredibly successful, proving unequivocally that audiences want to see more unique stories unfolding on the big screen. Although not an MCU entry, Spider-Man: Into the Spider-Verse is another excellent example. It may have been the fourth new start to a Spider-Man franchise in the past 20 years, but it was the first to not focus on Peter Parker. Miles Morales is now Spider-Man for a whole new generation and the film carried at its core the awesome message that anyone can be a hero. Marvel executive Victoria Alonso recently stated “the world is ready” for an openly gay MCU superhero and she’s right. It’s likely that, at the very least, fans will be waiting until after Avengers: Endgame to discover exactly who Russo is talking about. There are several exciting options though, so we look forward to discovering what Marvel Studios has up its sleeve.